Pittsburgh’s craft-beer industry is booming, but can it find its place in the national beer scene? It was the last place I’d expect to find a brewery. On a sunny Thursday afternoon in late October, I found myself staring at the front of a movie theater in McKees Rocks. There was no sweet smell of cooking grain, no truck beds loaded with kegs, no signs at all that there was any brewing (or anything at all, really) going on within. But this was the address I had, so I headed around the back of the building and knocked. 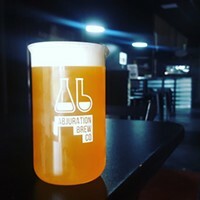 Tom Glover greeted me with a broad smile and ushered me in, and there it was: Abjuration Brewing Company. 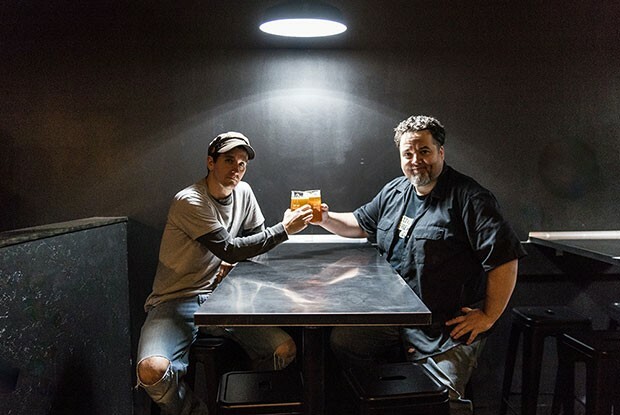 On the former stage of the historic Parkway Theatre, Glover and his partner, Dave Hallam, were brewing up a dry-hopped American blond ale. The beer was one of the earliest batches from their brand-new system, which they will use to brew experimental, open-sourced ales on an extremely small scale. Glover excitedly showed me around, pointing out all the triumphs and quirks of their largely DIY space. What was once a basement hobby is now a buzzing, bubbling brewery. From tiny startups like Abjuration to established, seasoned operations, Pittsburgh is chock-full of breweries. But it wasn’t always that way. Penn Brewery opened the doors to its North Side brewpub in 1989, becoming Pittsburgh’s first true craft brewery and an early arrival on the national craft-beer scene. After that, however, breweries came in a trickle. Church Brew Works opened in 1996, and for years, “Church and Penn” were about the extent of Pittsburgh craft beer. A handful of other brewpubs came and went in the ’90s and early 2000s, including Valhalla and Foundry Ale Works, both in the Strip. But while craft beer boomed on the West Coast, Pittsburgh’s brewing scene remained relatively quiet. Then all of that changed. About five years ago, breweries started setting up shop in Pittsburgh and they haven’t stopped. What was once a trickle is now a mighty river, with breweries revving up at an unprecedented pace. There are now more than 30 active breweries in Allegheny County alone, with more than a third of those spots opening in the past two years. If you include all of Western Pennsylvania, that number nearly triples. And at least a half-dozen more breweries are preparing to open around the city. Beer makes sense here. Pittsburgh has always been a town of makers, and our ample and relatively affordable real estate makes opening a craft brewery an attainable proposition. And we are certainly a city of drinkers. With a “work hard, play hard” attitude, a lively tailgating culture, and one of the highest numbers of bars per capita in the country, beer has fueled Pittsburgh for centuries. Breweries are driving tourism, fueling the economy, and shaping our neighborhoods. So, it seems like the right time to step back and survey the state of beer in Pittsburgh. How did we get here? Where are we headed? And could Pittsburgh be America’s next great beer town? 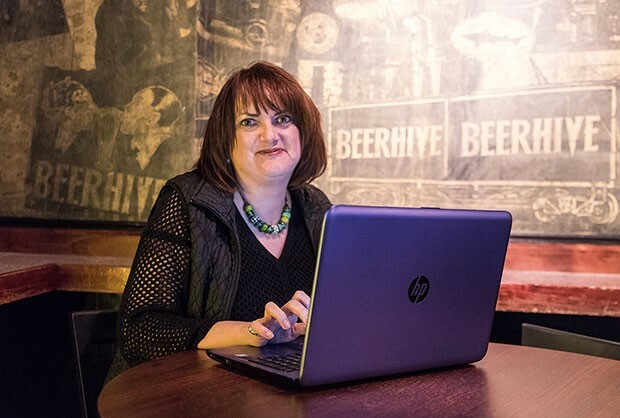 “It was hard to find locally brewed beer for a long time,” says Beth Kurtz Taylor, a food writer, culinary tour guide and Pittsburgh native. In the 1990s, as she and her husband were getting interested in craft beer, it took some serious work to be a beer fan. Taylor still remembers the few bars that might serve a craft draft, and a favorite distributor who would break open a case to let you try a new beer. With so few beer options, some industrious drinkers just started to make it themselves. Scott Smith was one of them. 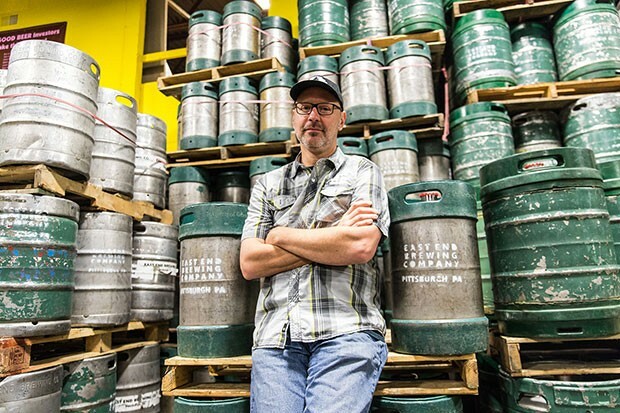 The owner of East End Brewing Company, Smith was a homebrewer for nearly a decade before making beer a career. His story is now a familiar one: an avid homebrewer quits his corporate job and sinks his life savings into kettles and fermenters. But back in 2004, Smith was venturing into uncharted territory. But East End did open, of course, in a “shitbox” on Susquehanna Street, in Homewood. At first, it sold only kegs, adding growlers soon after. Yet without the benefit of social media, a slick taproom, or even a proper sign, beer fans from all around the region began to find East End. Thirsty for something besides watery macro-brewed lagers, folks flocked to the fledgling brewery for growlers of Fat Gary and Monkey Boy. East End provided Pittsburgh with local beer, but it also created camaraderie and community. Andrew Witchey recalls standing in line for East End’s annual Gratitude barleywine release years ago. “It was super early in the morning, it was bitter cold out, and there was still a line of people hanging out, drinking beers, talking … that was cool,” says Witchey. Those early memories of Pittsburgh’s small but devoted craft-beer community would shape Witchey, and many others, as he went on to open a brewery of his own. As the owner of Dancing Gnome, Witchey has gotten well acquainted with beer lines in the past year. On a recent weekday afternoon, despite the dreary and drizzly weather, I watched dozens of people line up outside Dancing Gnome to grab cans of Etch, the Sharpsburg brewery’s latest juicy, hazy IPA. Hopheads traveled from all around the city to pick up the cans: some to drink, others intended for trading and sharing with fellow beer fanatics around the country. With its sleek social-media presence, hop-forward portfolio, and devoted following of beer nerds, Dancing Gnome is a poster child for Pittsburgh’s new wave of breweries. It is one of dozens of small, independent breweries that have opened in the area since East End blazed the trail. The past year has been especially active, with hardly a week going by without news of a brewery opening, moving or expanding. While Pittsburgh has always had brewers, this new boom is different. Unlike the historic pre-Prohibition breweries (Iron City, Duquesne, Fort Pitt), which made cheap lagers meant for packaging and distribution, today’s breweries are much smaller affairs. 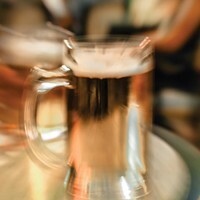 They are often family-run, neighborhood joints that make a variety of beer primarily for on-site consumption. And unlike Church Brew Works and Penn Brewery, they are mostly beer-only affairs, rarely attached to restaurants. What caused this spike in breweries? For one, there are now more resources to help start-up breweries than ever before, and city officials and contractors are far more familiar with the needs of a small brewery than they were a decade ago. A 2015 change in Pennsylvania law also helped, making it possible for breweries to sell pints on site without holding a restaurant or brewpub license. Any discussion of local beer inevitably circles back to the question of “the bubble.” Are craft breweries just the latest fro-yo shops, a booming trend that will eventually bust? I’ve heard many drinkers wonder where the ceiling is for Pittsburgh beer: Just how many breweries can one city support? And most brewers and owners subscribe to the “rising tides lift all boats” mentality. One brewery in a neighborhood, it seems, is a local watering hole. Two or three? Now you have an attraction. Breweries are driving tourist traffic, both locally and nationally. “People are crossing rivers and going through tunnels to find out what a new brewery is doing,” notes Dyana Sloan, co-owner of Roundabout Brewery, in Lawrenceville. Pittsburghers, famously reluctant to leave their own neighborhoods, are engaging in local beer tourism, venturing to new places to check out craft breweries. Towns like Braddock, Sharpsburg and Millvale are newly alive at night and on weekends thanks to craft breweries. But is Pittsburgh a true beer destination? Are we the kind of place that beer buffs would plan a trip around, the way they would flock to Asheville, N.C., or Portland, Ore.? “Slowly but surely,” says Mike Potter, founder of the forthcoming online magazine Black Brew Culture. 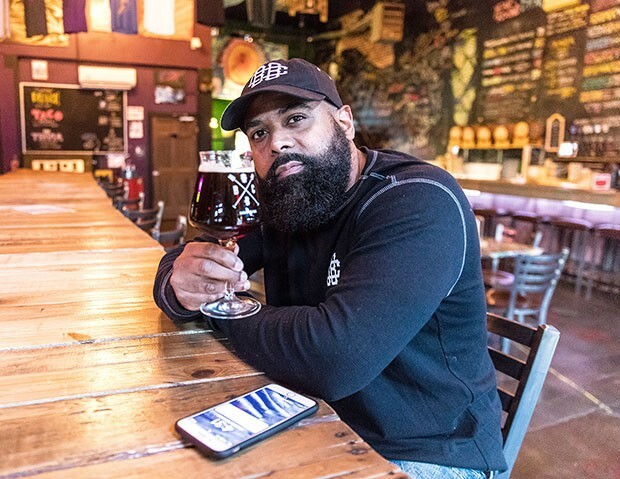 “You have about 10 breweries that are really making some star, outstanding beer.” Potter, an avid beer trader, says that Pittsburgh beers are increasingly sought out by aficionados around the country, who request brews from Spoonwood, Voodoo, Brew Gentlemen and others in the area. It’s a small but important indicator of Pittsburgh’s rising prominence on the national beer radar. Another indicator of Pittsburgh’s growing beer market came this past January, when Southern Tier Brewery, a well-known large-scale craft brewer, decided to build its first taproom outside of Western New York on Pittsburgh’s North Side. As a sign of its commitment to the city, and probably with a nod to the city’s beer consumers, the taproom has a small brewing operation that works to develop exclusively Pittsburgh-crafted beers. Unlike many other cities, Pittsburgh doesn’t have a large, well-known craft brewery that distributes beyond the state, the way Cleveland has Great Lakes Brewing Company, or Grand Rapids, Mich., has Founders. On the one hand, this means that people outside of Western Pennsylvania are less familiar with the beer scene here. On the other, it means that all of our breweries are on fairly equal ground, not stuck brewing in the shadow of one mammoth operation. And unlike some other beer towns, Pittsburgh boasts plenty of other attractions besides drinking. “Grand Rapids, let’s face it. There’s not a whole lot to do in Grand Rapids other than go to breweries,” laughs Steve Sloan, of Roundabout. Pittsburgh, on the other hand, offers great museums, a lively restaurant scene, successful sports teams and more. Whether it’s the focus of a trip or an added bonus, it’s clear that tourists are interested in craft beer. Joe McAllister is fond of quoting a figure from a Travelocity survey that showed that 77 percent of travelers will check out the beer offerings in a city before they go there. “It’s happening, and now we’re learning how to make use of it and promote it,” he explains. With the pace of brewery openings, there’s been little time to step back and consider the beer scene as a whole. Now, brewers are finding ways to come together to grow, organize and strengthen their entire community. This is happening through trade organizations like the Brewers of Pennsylvania and the Master Brewers Association of the Americas (an international organization that recently added a Pittsburgh chapter). Local brewers regularly collaborate on projects and share knowledge and resources; new brewers often hone their craft on an established brewery’s system. And efforts are underway to find new avenues to promote Pittsburgh’s beer scene to tourists. A group of local brewers, along with Visit Pittsburgh, is working to establish a clear identity for Pittsburgh’s beer scene. It remains to be seen exactly how that will play out. It may come in the form of a map (like the bygone Allegheny River Libation Trail pamphlets), a passport where drinkers can collect stamps, an app, or something altogether different. 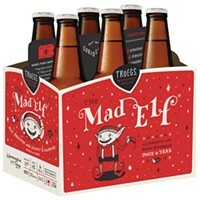 But breweries are looking for ways to work together and bring their beer to a wider audience. And in today’s climate, simply making good beer is not enough. Brewery owners have a thousand other tasks before them: creating a brand, maintaining an active social-media presence, coordinating food trucks and events, courting bars to carry their drafts — the list goes on. New breweries must work to set themselves apart, and established ones have to keep up with changing tastes and trends. “We actually don’t even call [Big Hop] an IPA anymore,” Smith says of East End’s flagship beer. “Calling it an IPA creates an expectation. I think that beer was an IPA 13 years ago, but tastes have shifted.” Veteran brewers like Smith — who in 2015 vacated East End’s original space, and now runs a pair of bigger, slicker taprooms — have to strike a balance between pleasing longtime fans and evolving with the times. Allegheny County currently has more breweries than any other county in Pennsylvania, with more on the way. Our brewers continue to find new ways to combine grain, hops, yeast and water. National publications are paying attention to Pittsburgh’s beer scene, and folks are beginning to travel here to try our offerings. So, what now? Everyone I spoke with had something new in the works. 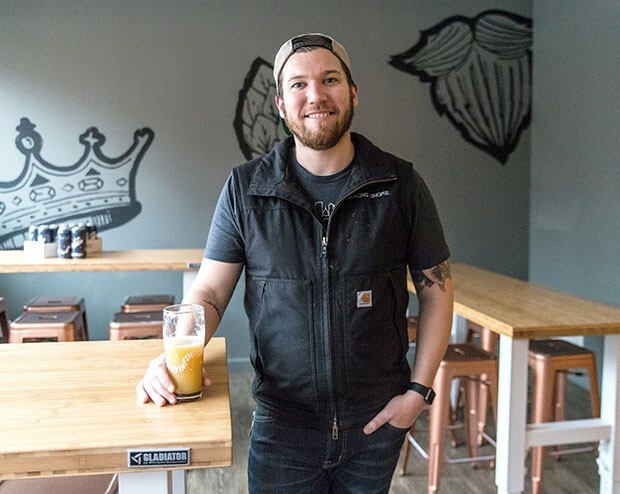 Scott Smith is considering adding a kitchen to East End, and is looking for a facility to expand its sour-beer program. Andrew Witchey recently purchased a second fermenter, which will allow Dancing Gnome to increase production and crank out more of those much-coveted cans. 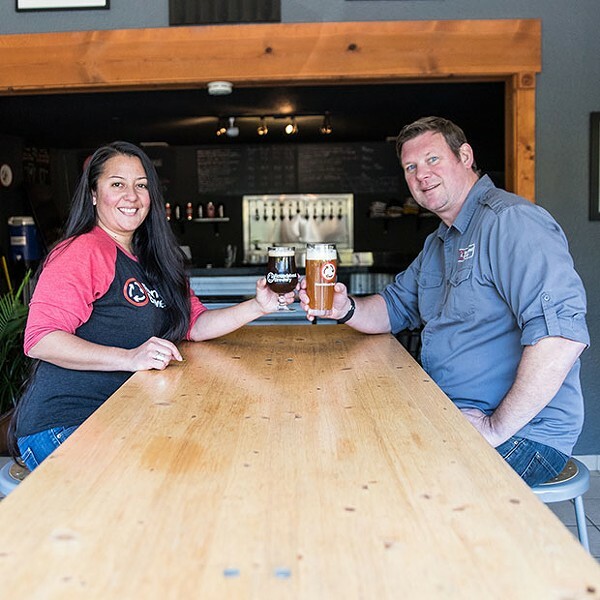 Steve and Dyana Sloan are actively looking for a space to start a proper beer garden, so that people can enjoy their beer beyond Roundabout’s tiny Lawrenceville taproom. Joe McAllister is scouring the city for the perfect location for Brew: The Museum of Beer. He hopes the museum, which he compares to the Rock and Roll Hall of Fame in size and scope, will give people yet another reason to pay attention to Pittsburgh beer. 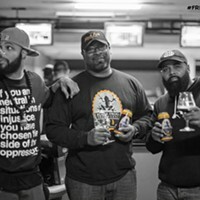 And Mike Potter is continuing to develop Black Brew Culture, an online magazine devoted to telling the untold stories in craft brewing and promoting diversity in the industry. He’s launching a series of tasting parties called “Styles Upon Styles,” geared at educating novice drinkers and introducing them to unfamiliar beer varieties. While the bubble may indeed be real, I don’t see it bursting anytime soon. There is so much excitement among brewers and drinkers alike, and the enthusiasm for local beer is only getting stronger. Everyone I spoke with seemed to feel there’s plenty of room to grow and plenty of territory yet to be explored. Compared to many cities, Pittsburgh’s craft-beer scene is still quite young. This means, perhaps, that we lack the reputation and resources that many other “beer destinations” enjoy. But it also means that we, the beer drinkers, can help shape the scene. We can get to know our neighborhood brewers and tell them what we like. We can request our corner bar to dedicate a tap to local brews. We can tell our friends in other cities and states about what we have brewing here. And we can raise a pint to a future full of possibilities, potential and a whole lot of great local beer. 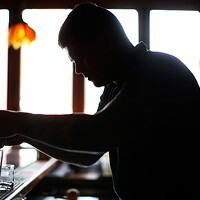 What is a night out like for a bartender? 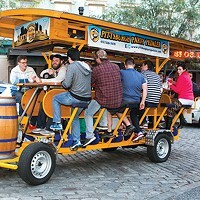 Party bikes are growing in popularity, and divisiveness.